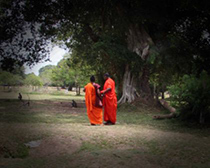 Discover ancient and modern Sri Lanka on this 10 day trip across the island’s southern and central provinces. Take in the majestic panoramic views from the top of Lion Rock before embarking on a tour of Sri Lanka’s cultural capital, Kandy. Venture into the heart of tea-country, admire Dutch colonial architecture at Galle Fort and embark on safari at Yala National Park, before discovering vibrant capital Colombo. On arrival at Colombo International Airport, you will be met by a representative of GetAboutAsia and transferred to your hotel in Negombo. This morning you will be collected from your hotel by your driver to commence your exploration of Sri Lanka. Drive to Sigiriya. This afternoon visit Minneriya National Park and experience a jeep safari. If you're up for a serious rumble in the jungle, then Minneriya is your Colosseum! Spreading over 8800 hectares, this is a sanctuary for elephants. Minneriya is home to herds of deer and ample birdlife, but its spotlight remains between swaying trunks & flapping ears. Park your jeep on the bank of the reservoir and switch off its engine. Watch carefully as herds of elephants roll on to the grass-covered banks to feed on tender shoots. In fact, this is the largest elephant gathering in the world - over 300 at a time - which has garnished the park to become a magnet for wildlife enthusiasts across the globe. Rising 200 metres above the scrub jungle, this world heritage listed architectural marvel is nicknamed the 'Lion Rock' and was once the innermost stronghold of a 70 hectare fortified town. Scale the 1,200 stone steps to the top of the mountain, or simply take your time exploring the beautiful water gardens that surround the base. Tucked within a sheltered pocket about half way up the rock you'll find the renowned frescoes of the 'Heavenly Maidens' of Sigiriya, painted onto the sheer rock face in natural earth pigments. Venture beyond this ancient gallery to uncover the Mirror Wall, where over a 1,000 years ago, people scrawled their thoughts on the Maidens into the rock. Located just a short tuktuk or bike ride from Sigiriya, perched beneath another rocky outcrop, you'll find Pidurangala Royal Cave Temple. 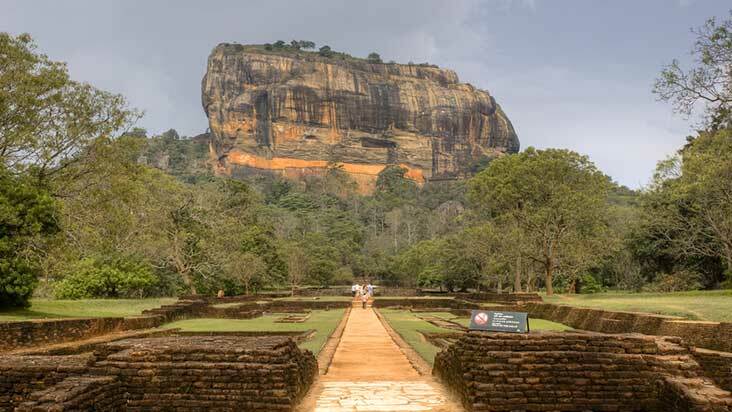 The natural rock caves here were transformed into a monastery in the 5th century AD after the arrival of King Kashyapa in Sigiriya. A set of steep steps lead up the hillside to the temple, where the main attraction is a huge, semi-restored Buddha reclining in a pocket of rock. 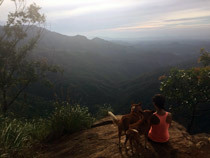 From here it's just a short five minute climb to the summit of the rock, where you'll be rewarded with incredible views of Sigiriya's lesser seen but perhaps even more fascinating northern face. On the journey to Kandy, visit a spice garden at Matale and discover how the island’s exotic spices are grown and harvested. Enjoy a live cooking demonstration using these fragrant spices. 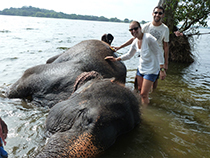 After checking into your hotel at Kandy, embark on a tour of the city. Perched between craggy hills in the heart of Sri Lanka’s central province, Kandy is the island’s second largest city and its renowned cultural capital. 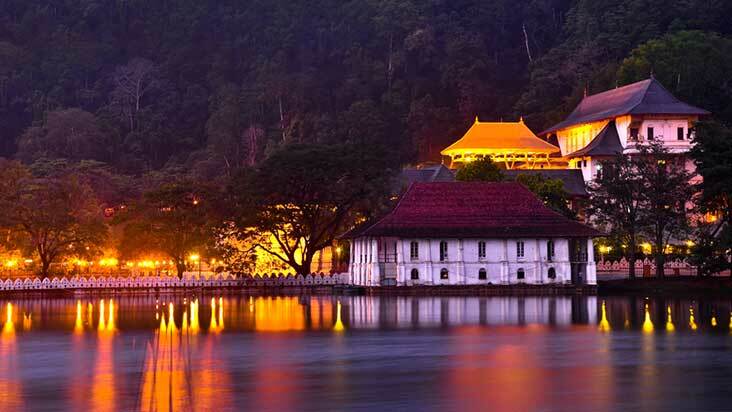 After a scenic drive around Kandy Lake, tour Kandy with your guide, starting with some laid back browsing at the Bazaar and gem museum before venturing to the Temple of the Sacred Tooth Relic to see the revered Buddha tooth in its ornate two storey shrine. In the evening, unwind and enjoy a live Kandyan dance performance. Blending elaborate costumes with frenetic dance moves and pulsating, infectious tribal drum rhythms, this unforgettable explosion of colour and sound is Sri Lanka’s most iconic performing art. Legend has it that the dance was originally developed as part of an exorcism ritual performed by Indian shaman visiting the island. 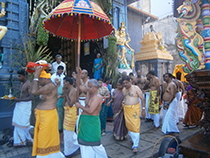 It quickly became popular under the rule of the kings of Kandy and was eventually incorporated into religious ceremonies and festivals across Sri Lanka, never losing its strong ties with the city. After a relaxed morning spent ambling the paths of Peradeniya Botanical Gardens, set off for Nuwara Eliya with your guide, stopping en-route to visit a tea factory and plantation. With its invigorating mountain air and stunningly green mountain scenery, Nuwara Eliya is Sri Lanka’s most popular hill resort. The town, nicknamed ‘Little England’ thanks to its quaint architecture, is also responsible for producing some of the country’s finest tea. Wander the town’s narrow cobbled streets, soaking up the invigorating mountain air and quaint architectural blend of English country town and seaside kitsch. Victoria Park, with its neat rolling lawns and colourful flower beds, is modelled on an English municipal park and offers a relaxing place to rest awhile, picnic and watch rare native and migratory birds. Those who’d like to venture slightly further afield can take a short bus ride southeast to the Hakgana Botanic Gardens. Surrounded by tea plantations, these gardens were once a plantation of cinchona; a medicinal shrub now used to produce the anti-malarial drug Quinine. Today, these 27 hectare picturesque terraces are abundant with roses, ferns and a variety of medicinal plants. Embark on a safari adventure across Yala National Park. See elephant herds, spotted deer and boars as you explore the rugged scrublands with your experienced guide. 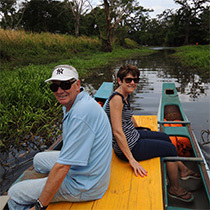 Venturing deeper into the park, keep your eyes open for monkeys in their hundreds in the forests, leopards slinking through the undergrowth and crocodiles sunning themselves by brackish lagoons. The bird-watching highlight to look out for is the extremely rare black necked stork, of which there are thought to be only ten left in Sri Lanka. Migratory birds such as pintails, curlews and white-winged black terns are easier to spot. 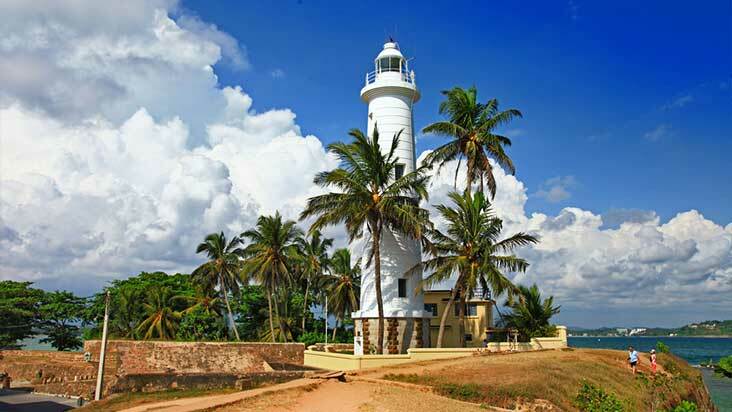 Set off along Sri Lanka’s southern coast to Galle to explore the city’s World Heritage listed Fort. Nestled on the shores of the Indian Ocean, this 36 hectare UNESCO World Heritage Site is the largest intact Dutch fort in Asia and one of the best preserved examples of 17th century colonial fortifications in the world. The refreshingly quiet and traffic-free streets of the Dutch quarter are lined with elegant colonial-era villas and towering churches. Enjoy a leisurely wander, stopping to admire the stunning ocean views from the fort walls. Venture into the heart of the town to experience Galle’s unique fusion of modern and ancient, where jewellery and book shops abound and alfresco cafes are half hidden behind magnificent towering columns. Ask your guide for personal bar and restaurant recommendations. 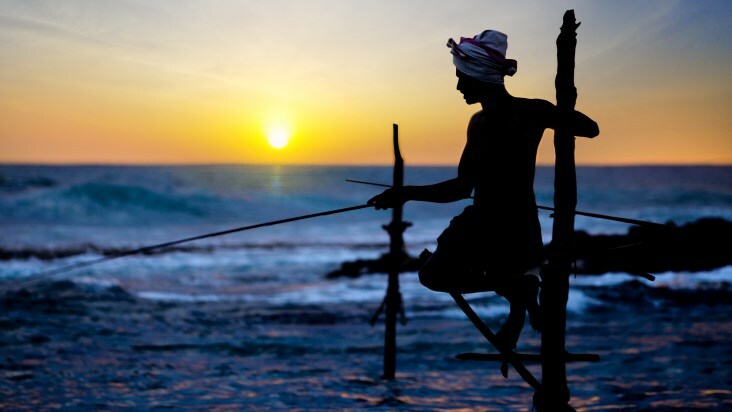 Journey to Colombo, Sri Lanka’s hectic and cosmopolitan capital. A dynamic and multicultural capital, Colombo is changing rapidly, yet there’s still plenty of evidence of old world charm to be found in its colourful and hectic streets. The chaotic energy of the Pettah Bazaar shopping district is unlike anywhere else in Sri Lanka, while Slave Island, with its ornate temples and colonial-era railway station is a fascinating place to spend an afternoon wandering. The city’s dining scene is as diverse as its population and includes a full range of European and Asian dishes. Ask your guide for personal recommendations. Enjoy free time exploring the city before leaving for the airport.